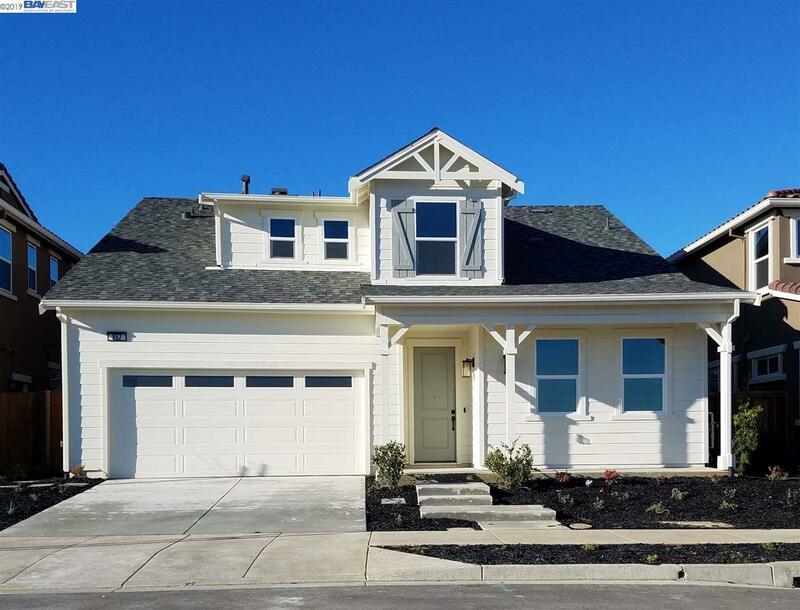 Nuvera Homes presents for sale Harper Parc, a charming new home community Brentwood conveniently located a short drive to downtown and The Streets of Brentwood and the best access for Tri Valley/Silicon Valley commuters. Great Location! Downstairs Master Suite with French door to rear yard. Still time for buyers to select flooring and countertops. This 4 bed 2 1/2 bath home features an open floor plan design with 12 ft. ceilings in living room with window design to show lots of natural light & kitchen island ideal for entertaining and gourmet cooking & a place to gather. Designer kitchen with beautiful Shaker Style dove grey finish stained cabinets. Upstairs features 3 bedrooms with spacious walk in closets for abundant storage. Apr/May 2019 Closing. Homesite Lot 31 First Exterior Picture of actual homesite. Others Pictures are of Model Home. Plan1D Use Google Map address 250 Guthrie Lane., Brentwood. Open House Sat-Sun 10am-6pm.